Last night we were glued to BBC1 watching The Apprentice. What had us so interested? The teams were asked to develop a household gadget that would solve a problem and could take a slice of the £10 billion pound homeware market. The boys decided on a home composter but we were much more interested in the girls' team approach. They initially struggled for ideas after nominating Jane (a food manufacturing supplier) over the seemingly more qualified R&D Manager Katie. Finally they focussed on what problems they could solve in the bathroom. Laura said she didn't like being splashed in the bath and the idea of a baby splash screen was put forward along with a protective tap cosy. At this early stage they lacked ideas - and we often find that's not about knowing the market very well - when we do mum insight work we pull on the opinions and thoughts of thousands of mums. Out of this we can come up with product and service ideas that mums love, and are grounded in research rather than what we think 'might' work. When we're working with companies on new product development we go through a number of testing and reviewing stages including focus groups which is where the girls went next. As they arrived one of the team said they really needed to listen to what the target market wanted. By this stage it was becoming clear that the team was already being influenced by the loudest members of the group - the same thing can happen in companies when one person wants to champion an idea - even if that idea is flawed and the market doesn't want it. The mother and toddler group were used for focussed research, the ideas of a tap cosy and splash guard were put forward and (from what we could see on the programme) the guard was rejected (can't reach the child, splashing is fun) and the tap cosy was a good idea that mums would buy. On the street research was also done and the conclusions were the same. So they had different types of mums in different settings telling them the same thing (valuable insight both in terms of what mums want and also what they don't like) but as they moved to the design stage they ditched the tap cosy idea because it was too difficult or risky. Despite the market clearly telling them they wanted the product they abandoned it at the first hurdle. Developing a really good product that mums actually want isn't always easy and the companies we work with have to juggle commercial considerations but what's the point of developing a product that the market has clearly told you they don't want. Katie, R&D manager, made it very clear that she thought there was no point in doing market research if they were just going to ignore it. We couldn't agree more wholeheartedly. In the end the team member who was fired was the one who contributed the least. She didn't like the splash guard concept and we wondered if she would have been saved if she'd spoken up. We know companies don't work exactly like the Apprentice but it did make us reflect on listening very carefully to team objections during the product development process. 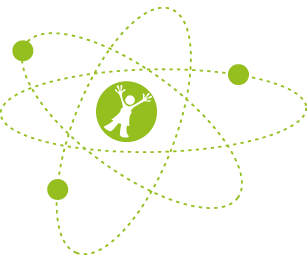 Get in touch if you are currently developing a product or need idea generation for products and services aimed at mums. It’s Mothers Day this weekend and I’ll be spending mine with my mum and extended family. My mum is my first port of call when I have a child rearing question (after all she managed to raise 5 children quite successfully). We also share information on products and bargains we’ve spotted in shops but as we are at quite different life stages I tend to go elsewhere to source my information on products and services related to my children and lifestyle. Along with 8 out 10 mums in this survey I regularly turn to the internet for parenting advice and to get daily jobs done such as grocery shopping. We’ve already seen a shift in the ways mum shop over the last few years and a recent study has shown that online reviews and experiences are becoming just as, if not more, important than personal recommendation. One of the insights to come out of a brand building in a digital world event held last week at P&G’s HQ in Cincinnati was that 70% of Pampers are now sold online. What this clearly means is that retailers are going to have think carefully about how they appeal to an increasingly digital mum market. And on the note of appealing to mums, as I strolled around the shops this week I was a bit mystified to see an abundance of pink goods. Valentines is long gone. And I wasn’t in a shop for children. The items on the shelves were in fact presents designed to appeal to grown women for Mother’s Day. Retailers need to remember that women are about more than pink and flowers, you’d only need to look at the results of our surveys to realise how diverse our mums are and that they have very different wants and needs. Last week was International Women’s Day (not a hint of pink anywhere). This was a day to celebrate women’s achievements and inspire young women to be brilliant in what ever they choose to do in their life. It’s also a great opportunity for brands to connect with women (Google did so this year). And on a final note this week is Yummy Mummy Week, a fundraising week for CLIC Sargent . We’ve worked with bloggers on a spreading the word campaign to raise awareness of the week and the great work this organisation does. 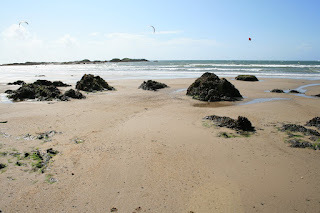 So far 80 bloggers have contributed 152 posts – you can read more here. We're were thrilled to see CLIC Sargent and our spreading the word campaigns mentioned as excellent examples of blogger relations in econsultancy today. Who do you think mums listen to? Their parents? The internet? My week kicked off with a quick dash around my local Morrisons store (mum insight – mums jam in food shopping when they can, so for me it’s just after I’ve done the school run). 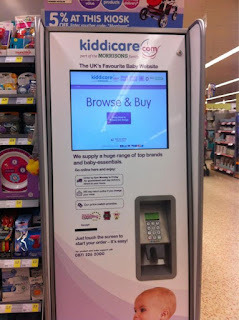 This store is having a bit of an upgrade at the moment and as I walked around, I noticed they had installed a Kiddicare ‘pod’. 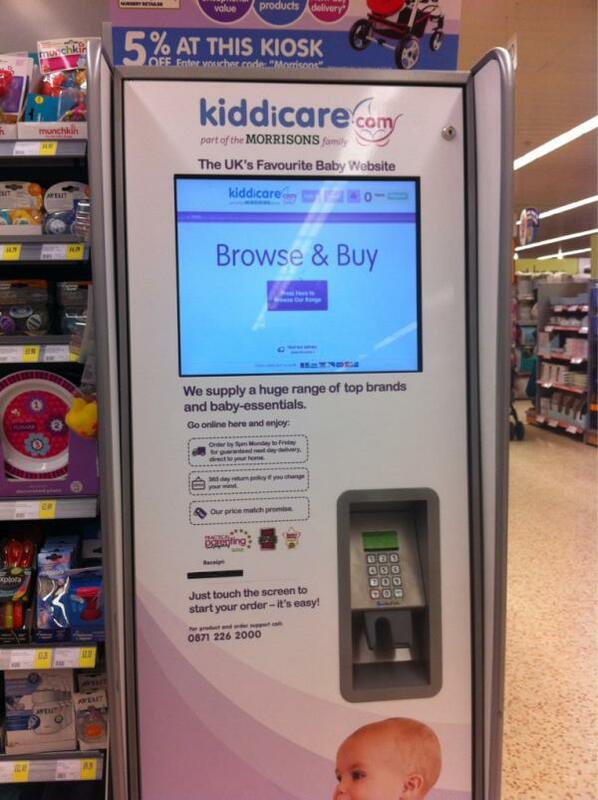 Morrisons bought Kiddicare last year to expand both their baby range and their internet retail offering. The great thing about this pod is that it allows you to price check and buy products when you do your weekly shop but you don’t have to drag them home with you. Last year we worked with Morrisons taking mums on accompanied shops to see whether they liked the in store experience when they were buying baby products. It's great to see the improvements Morrisons are making for mums. This particular store is across the road from Mothercare so mums can pop into one store and then dash across the road to do a quick cost comparison. Price checking using my phone is something I do more and more. Recently a netmums survey revealed mums are more likely to use mobile phones than the average Brit. That’s no surprise to me; my phone is where I keep all my appointments, important dates such as school events and lists of things I need to buy. I’ve found myself using technology in new ways. At Christmas, I started using the bar code scanner that is part of Amazon’s iPhone app, it allows you to scan a code on a book (or other product) and it then shows you the price on Amazon. This means you can do a direct price comparison, make a buying decision then and there AND save money – all with a few clicks of your phone. It’s often things that make a mum’s life easier that encourage us to buy. My girls are obsessed with fish fingers (this is no exaggeration). This week my other half purchased an enormous box to satisfy their cravings and it had a great new feature. You can now reclose the box by ripping off the top part and sliding it over the open end. One of the pain points of fish fingers is that you often spend a fair few minutes scrabbling around the bottom of the freezer to retrieve the ones that always escape the box. Birds Eye have solved this problem in a simple and elegant way and guess which brand of fish fingers I’ll be buying next time?